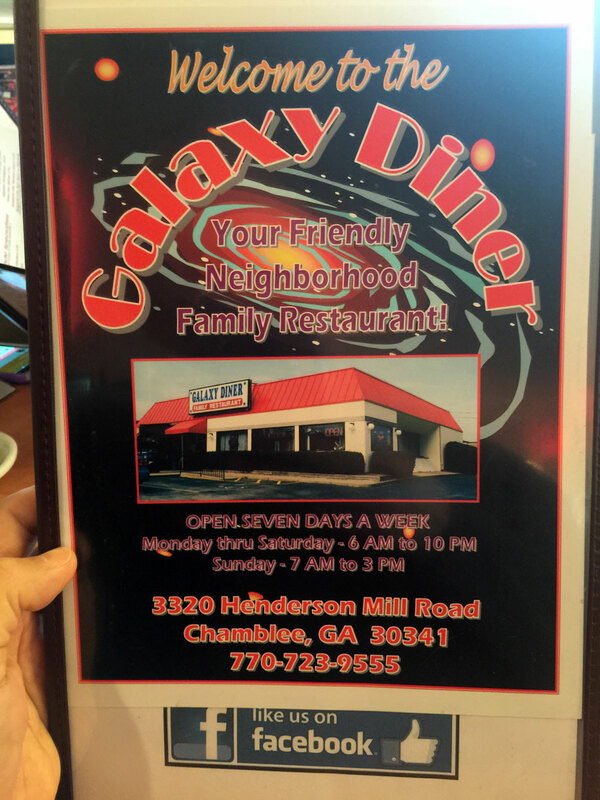 You can find the Galaxy Diner at 3320 Henderson Mill Rd, Atlanta, GA 30341 - the is the back side of the Embry Hills Shopping center anchored by Kroger so Galaxy faces Henderson Mill Rd. 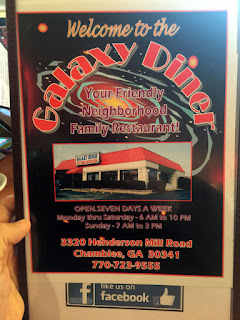 I've been coming to the Galaxy Diner for many, many years - it's close to where I live and it seems to be a favorite spot on weekends from my Northcrest neighbors. 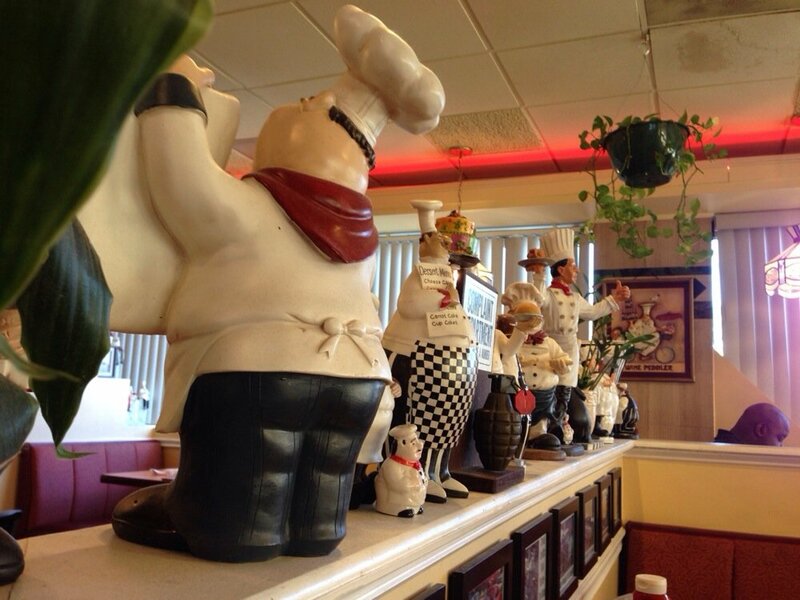 The restaurant is clean and the service is very good, with a really knowledgeable and accommodating staff. 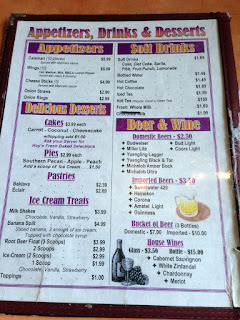 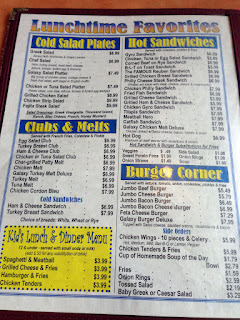 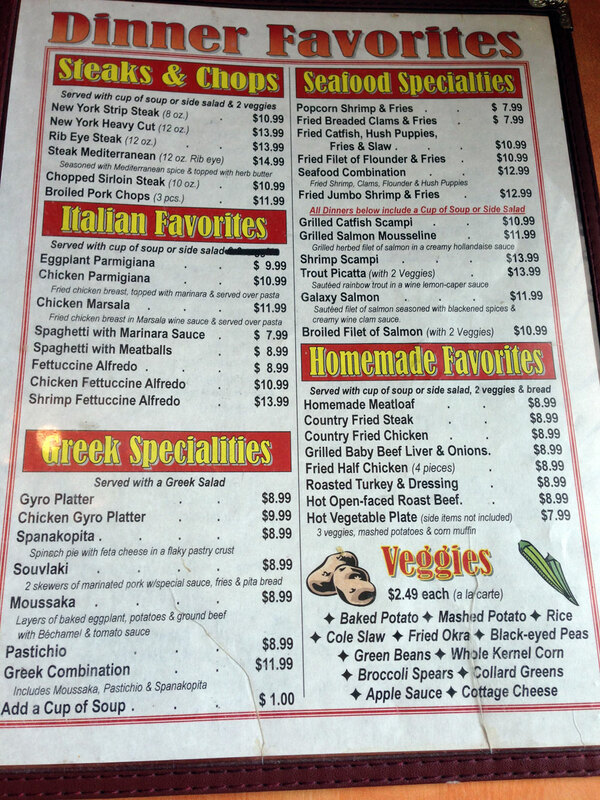 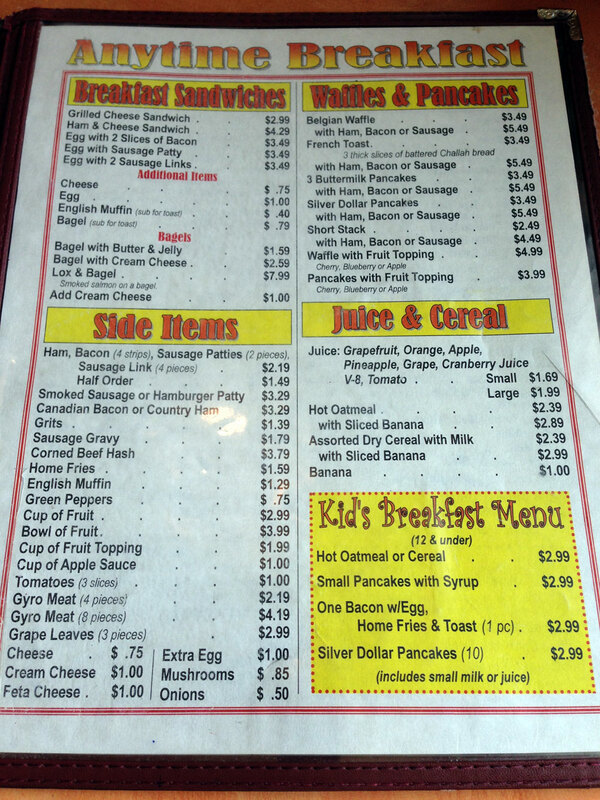 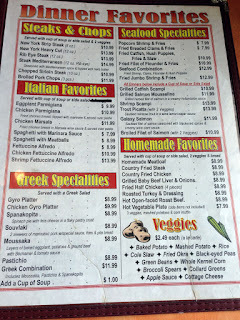 The menu is fairly extensive, with selections for breakfast, lunch and dinner with some specials. Although I've had better diner food, the Galaxy Diner more than makes up for any lack of quality through great, friendly service. 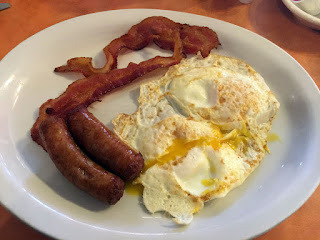 I enjoy the combination breakfast meals with bacon, sausage, eggs and pancakes. 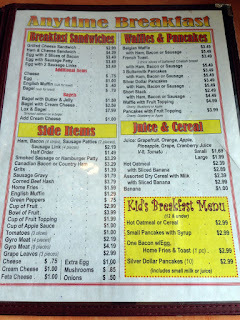 As I've said, I've only eaten breakfast at the Galaxy Diner so I don't have any opinion as to the other menu items. 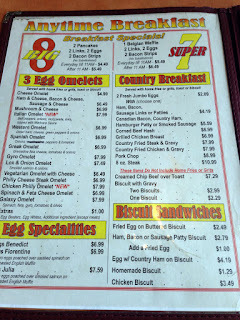 My favorite breakfast item is the combination "Super 8" which has most of what you'd want in a breakfast. Two eggs, two bacon strips, two sausage links and two pancakes - about as perfect to me for breakfast as you can find. I also like the french toast - they hand dip Challah (aka egg) bread and serve three large pieces - a bit of syrup and you're good to go, especially with a side of bacon. 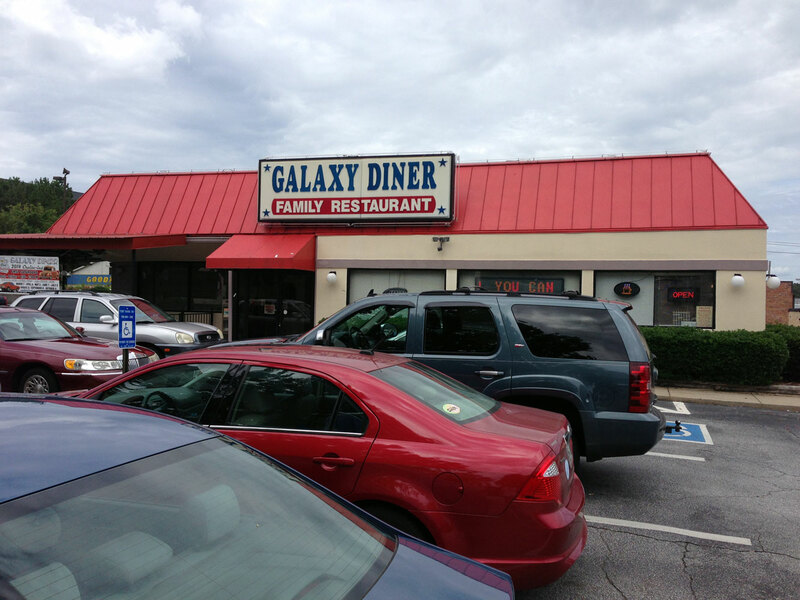 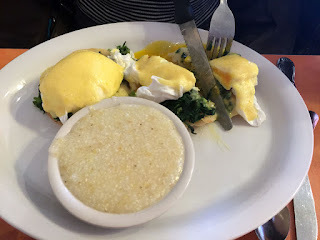 I think that if you're looking for something for breakfast or brunch and you're in the area, the Galaxy Diner is a good spot as it's very consistent and reasonably priced. 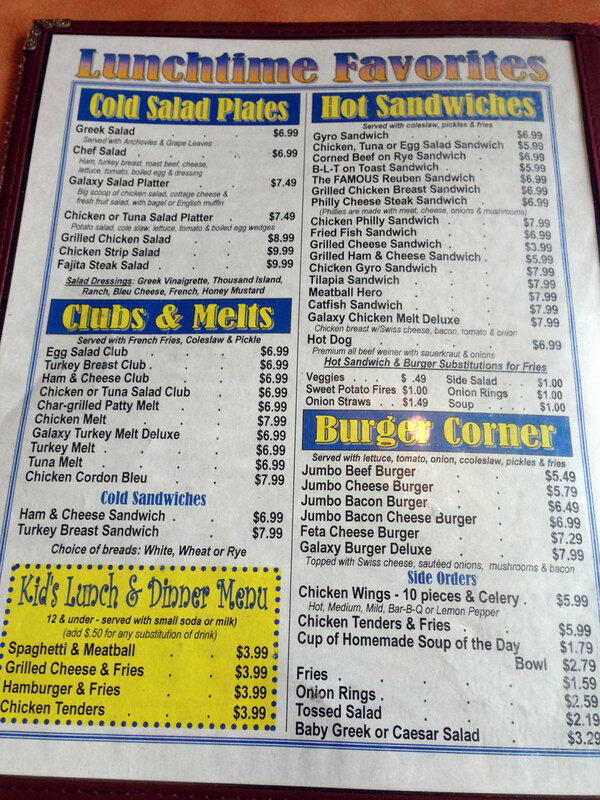 It's also a favorite for several local car clubs so weekends can be fun, especially for the kiddies. The lot does get a bit full but there's extra parking in the lots behind and to the right of the building. 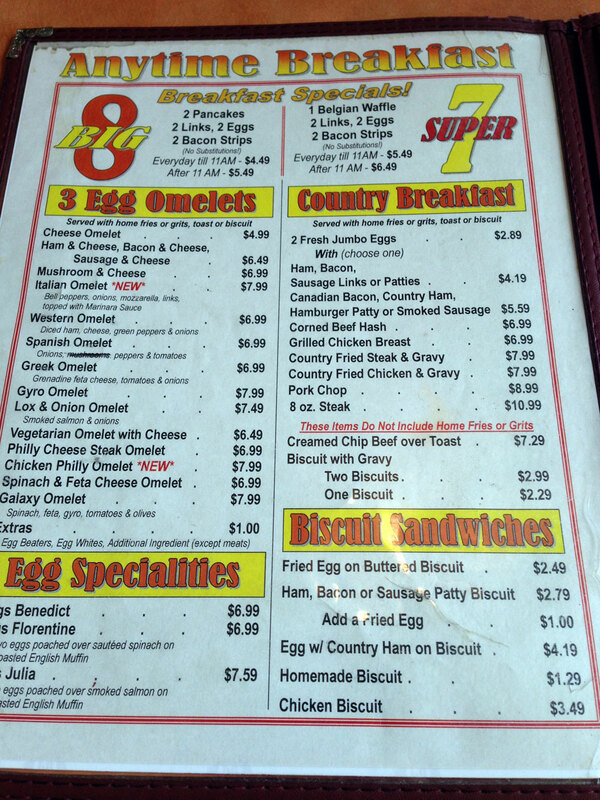 Sure it's not the same as going to Thumbs Up or the Flying Biscuit, but it's less pricey and certainly better than any Waffle House. 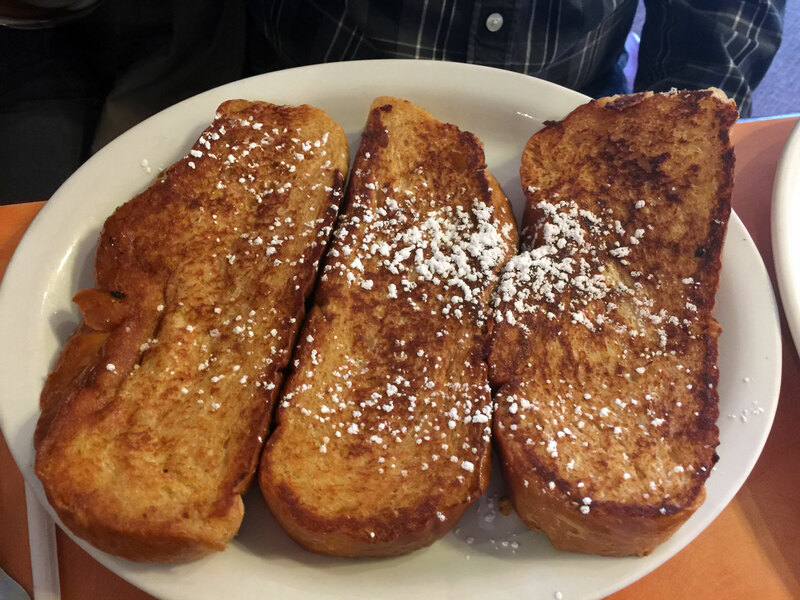 Try it, you'll like it!